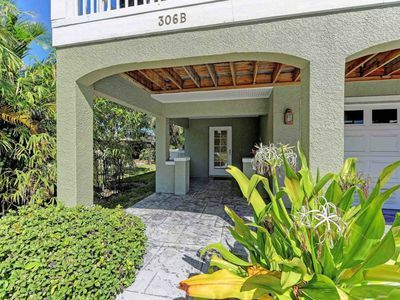 3BR/2.5 Bath, Steps to Beach , indoor/outdoor area with Hot Tub!!! 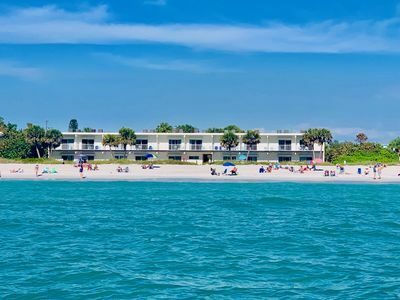 Located on Anna Maria Island off the Gulf Coast of Florida, Bradenton Beach is a small, friendly and charming old Florida town, located in the south end of Anna Maria Island. 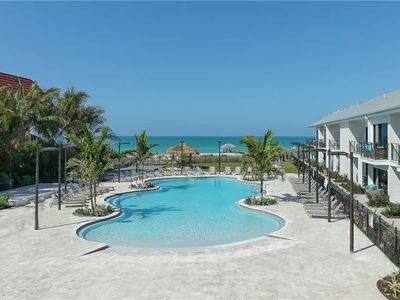 At Bradenton Beach you will find Island Breeze to be your perfect vacation rental accommodation along with a significant number of the best restaurants and shops on the entire island. 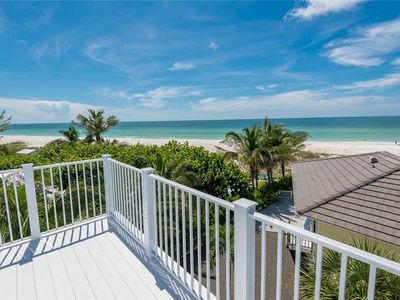 Island Breeze is a beautiful, newly completed duplex, within a block and half of the gulf beaches and the inter-coastal waterway. 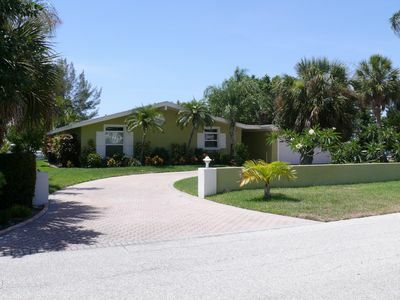 Located in a quiet community, but close enough to shopping, dining and bars. 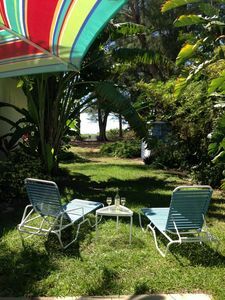 On the main floor, the great room is well decorated, very comfortable, and opens to a large deck with a view of the gulf. The kitchen is spacious and well designed for easy or fancy cooking. 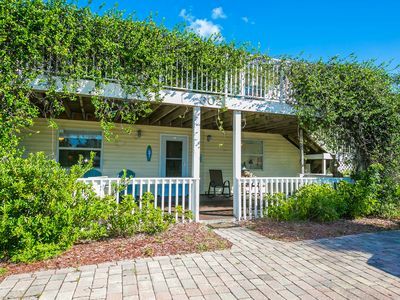 Off the kitchen, the rear deck has a gas grill and overlooks the hot tub and lanai area. 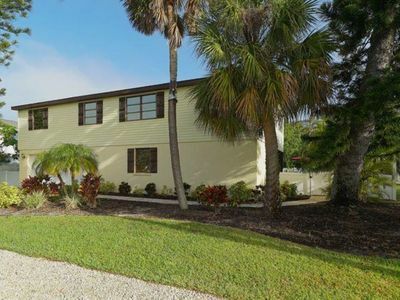 The master bedroom has elegant Tommy Bahama furniture, and a comfortable king size bed. 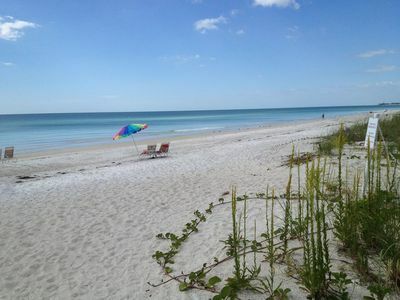 The room has its own private deck with two chaise lounges, along with views of the gulf. A great place for an afternoon nap. The private master bath has a large whirlpool style tub. 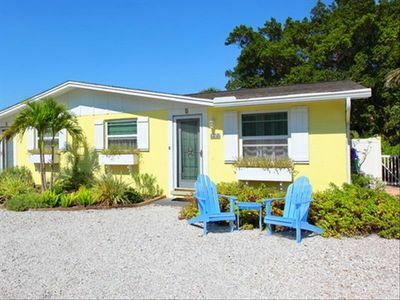 The queen bedroom is decorated in 'Island chic' style, and has a great view of the Palma Sola Bay. The third bedroom has twin beds, with custom bed ensembles. 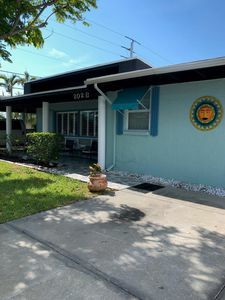 Located on the ground level is a large Florida room with comfortable seating for up to 16. 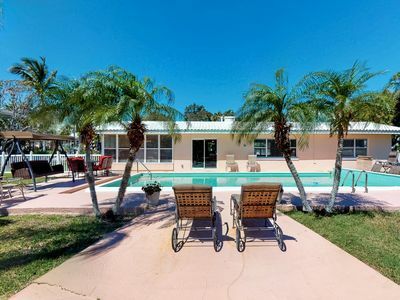 The Florida room has its own TV and refrigerator. 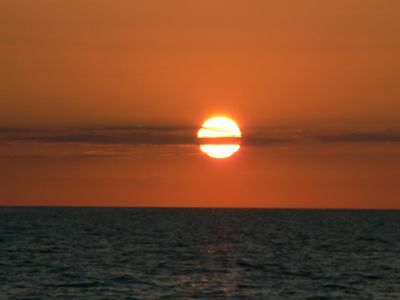 A great place to watch sports, entertain, or just hang out. 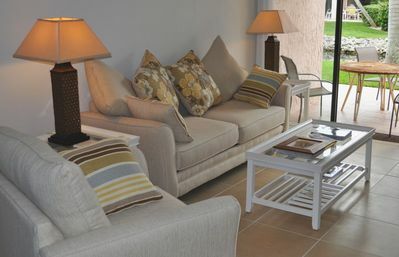 The lanai has exterior seating around a gas fire pit, wonderful for the cold evenings or after a dip in the pool. 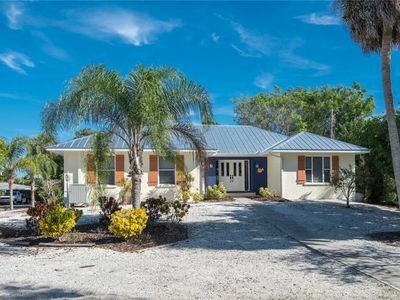 This home features all the amenities you will need to have the perfect vacation including a beach cart and chairs, towels, beach toys and coolers. 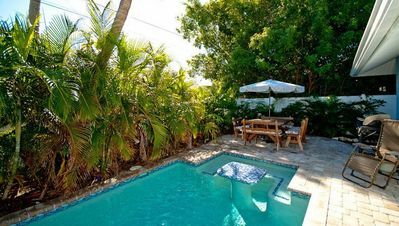 Angel Fish Cottage - Steps to Beach - Private Heated Pool-REMODELED BATHROOM! 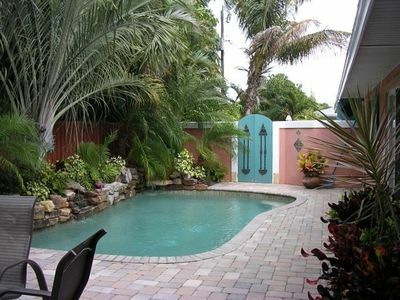 Egret's Landing - A private pool home, only minutes to the beach! 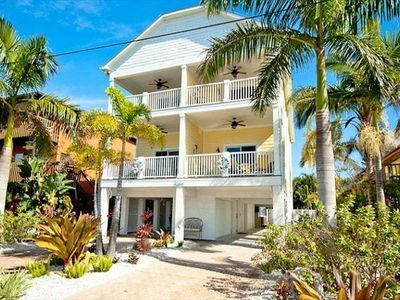 #104 RUNAWAY BAY ANNA MARIA ISLAND 35 STEPS TO BEACH 1 BEDROOM 1 BATH (SLEEPS 2/4) GROUND FLOOR UNIT PET FRIENDLY! 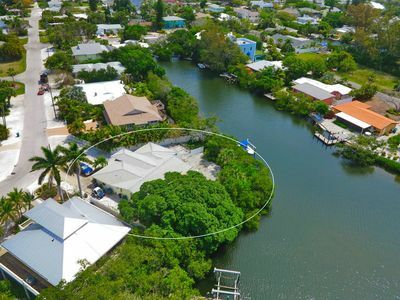 Pet friendly canal side home with pool and boat dock! 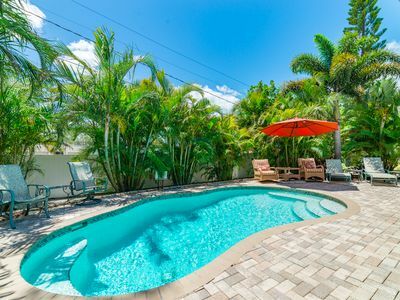 Newly renovated home w/ private heated pool and streaming services. 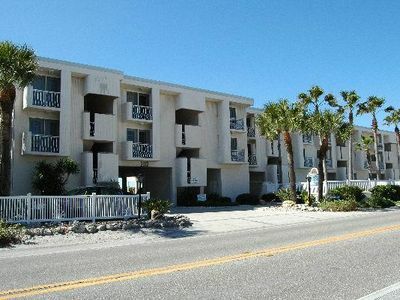 Anna Maria Beach Resort Rm 204: Grand Opening Pricing!